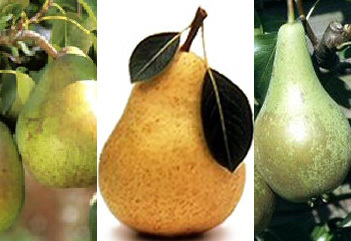 Buy Family pear trees online FREE DELIVERY from UK suppliers of garden fruit trees. An unusual idea. Family pear trees offer the possibility that on each pear tree there will be fruit from three different pears. With this tree you have Conference, Concorde and Comice. The different varieties are simply grafted onto the rootstock. Another benefit is that the three varieties act as pollination partners to one another.